This long-awaited cinematic work was filmed in Charlotte, North Carolina and is unlike any Movie you’ve seen before . 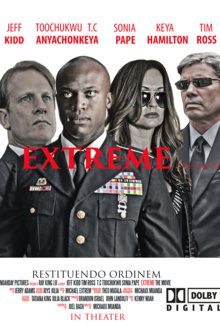 Extreme's action, intrigue and suspense will stay in your mind long after you watch it. Feature film project by Noah Day Productions, LLC. 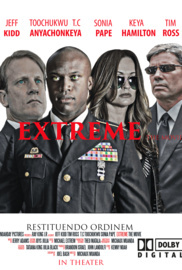 Extreme The Movie is a story about Michael White an American soldier who came home to his daughter Julia and wife Jacky White. Like any other U.S. soldiers it was a very difficult transition for Michael. Dealing with the realities of a harsh corrupted Judicial System his wife a very successful Lawyer and friends, pushed him to run for Governor after the first Governor was killed by the Mob Boss whom is greatly feared by local drug dealers for his ruthlessness and willingness to take lives in order to exert his influence. He became the youngest governor in American history but while in politics at some point he embraced corruption and marital infidelity and will be forced to face the Mob to save his family.